You could say the waterman’s way of life is in Tyrone Meredith’s blood. A fifth-generation waterman, Meredith began his career as a mate to his father—the late Eldridge Meredith who was also the 101st Admiral of the Chesapeake Bay—at the age of six. From Kent Island, Maryland, Meredith became a commercial crabber at 12 years old when he started catching crabs on his own. 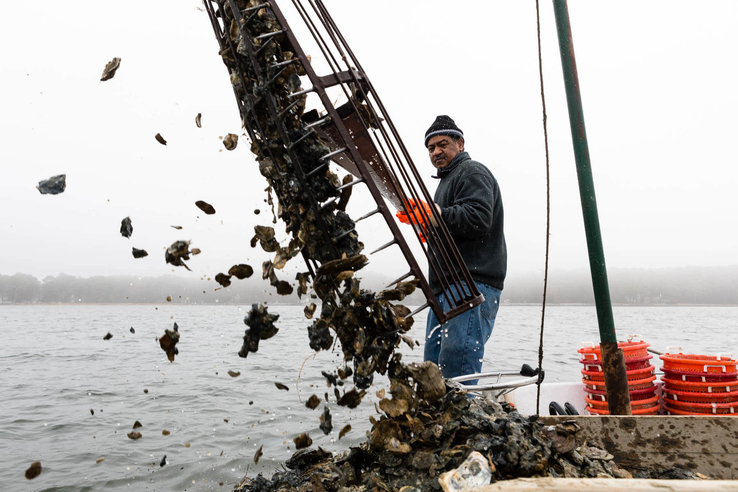 During the winter, he worked as a commercial oysterman, starting around the age of 16 using hand tongs. At 18, he obtained his captain’s license and operated one of his father’s charter boats, taking fisherman out to fish on his boat. Meredith eventually bought his own boat and still operates as a charter boat captain to this day. 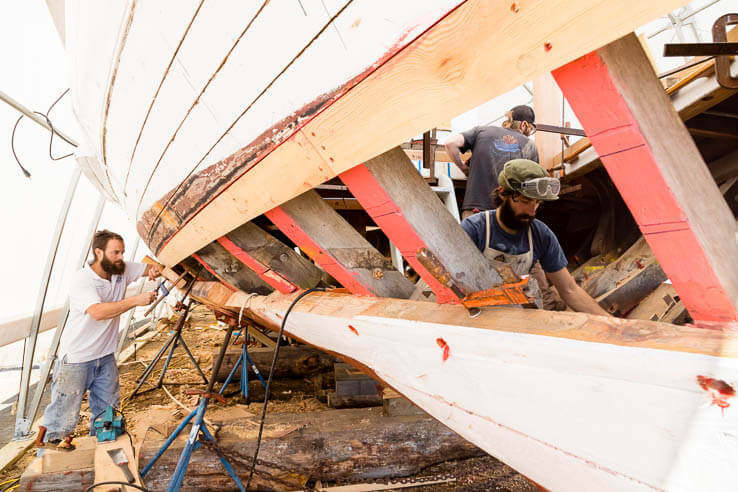 In his 30 years of maritime experience, Meredith has observed the effects of climate change and human effects on the Chesapeake Bay first hand. When asked about the sharp decrease in catch abundance, he responds, “I think the bay grasses disappeared, and the little crabs hide in the bay grass. So, it’s no grass for the crabs to hide and grow. It’s almost as if they’re crawling in a desert, allowing for larger fish to eat them up before they get big enough to catch. Despite changes over time, Kent Island was and remains a hub for black watermen. 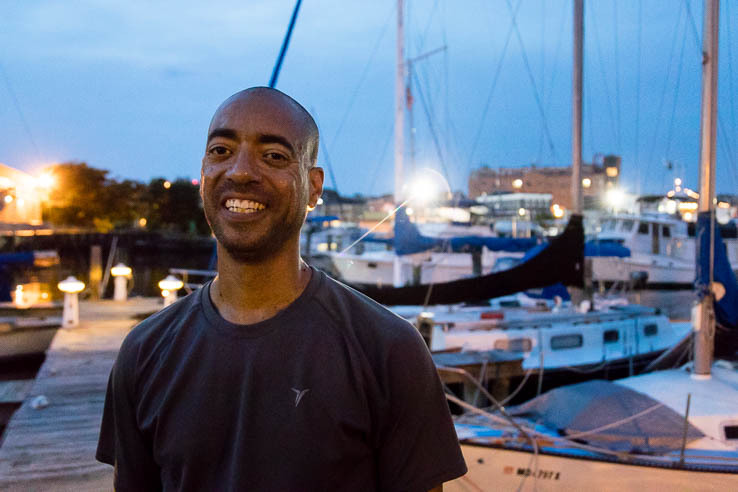 “I’ve been everywhere from Maine to Florida, and I’ve seen more black watermen right in Kent Island than anywhere else.” However, better access to higher education and more stable job opportunities in urban areas like Baltimore and Washington, D.C., played a significant role of African-Americans from the eastern shores of Maryland moving inland. Learn more about African-American legacy on the Chesapeake Bay. My first job as a captain on the Chesapeake was working with Captain Ty and his father captain Meredith better people you’ll never meet. 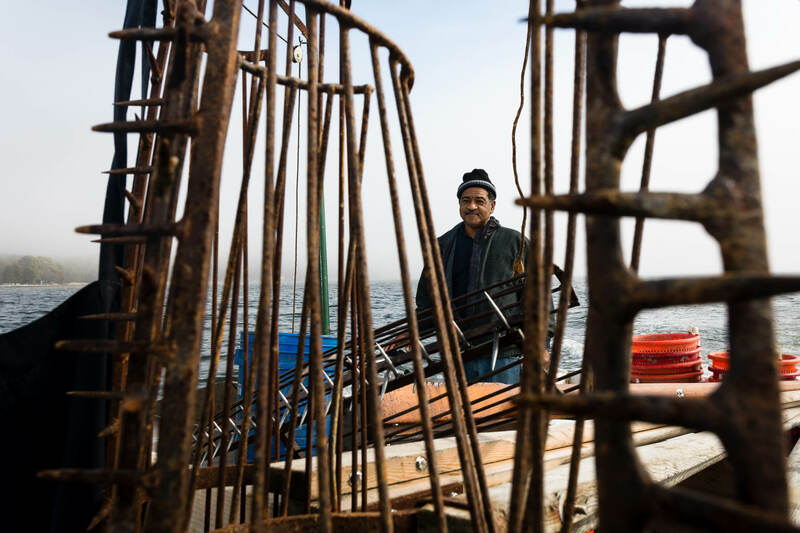 A great article taking about the differences pollution, dead grasses and overfishing decrease the need for watermen. I hope the fact that the bay is rebounding better than ever, as far as grasses are concerned, will give more watermen the opportunities to enjoy their livelihood.